Finding auto financing can be quite challenging. The reason for this is that there are many loan companies that do not have their customer’s fiscal interests at heart. The best way to find a reliable auto loan company is to really do your homework so that you are able to find the best possible deal for you. If you are located in the Clinton area, consider reaching out to Expert Auto regarding car financing & loans in Clinton. By doing so, you can be sure that you are working with a reputable company that you can trust. At Expert Auto, we make a great deal of effort to ensure that we are able to find auto financing options that will benefit our customer’s credit report in the long term. We do this by making an assessment as to what the customer’s credit history is and what they are looking to spend. At that moment, we are able to match the proper auto financing option to that customer. 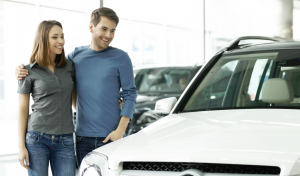 The best way to learn how Expert Auto can assist you in your upcoming auto purchase is to speak with one of our experts. In order to learn more about Expert Auto and our car financing & loans in Clinton. By doing so, you will be able to schedule an appointment with one of our loan specialists and discuss what potential auto financing option would be best for your individual circumstances. Thus, do not hesitate to reach out to us today and remember, that we are here to help you make the best possible purchase for your individual financial situation. We look forward to working with you for your upcoming auto purchase.